Severe atherosclerotic changes of abdominal aorta and its branches. 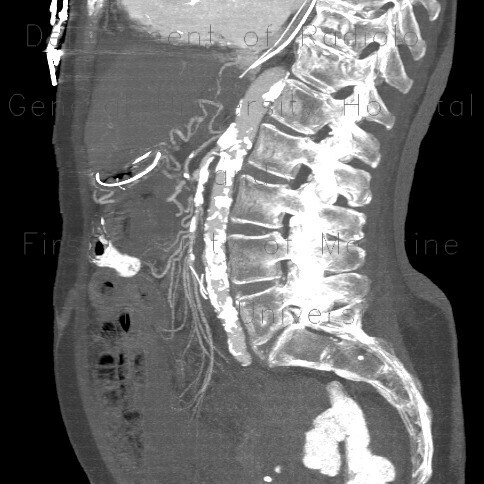 Several small bowel loops show lack of wall enhancement, increased amount of fluid content. In the liver a hypodense line of gas in portal vein can be seen.